We are proud to announce PrimalMerge 2009 as one of the new tools in SAPIEN’s 2009 product lineup. 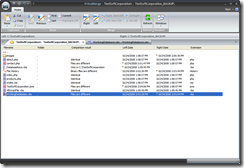 – Compare individual files or entire folders in one easy to use environment. 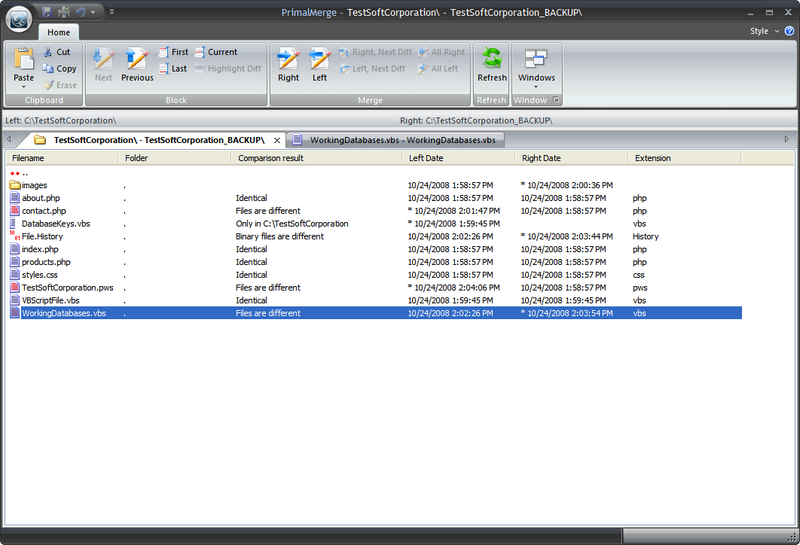 – Merge, delete, and edit individual differences to create compound versions of your files. 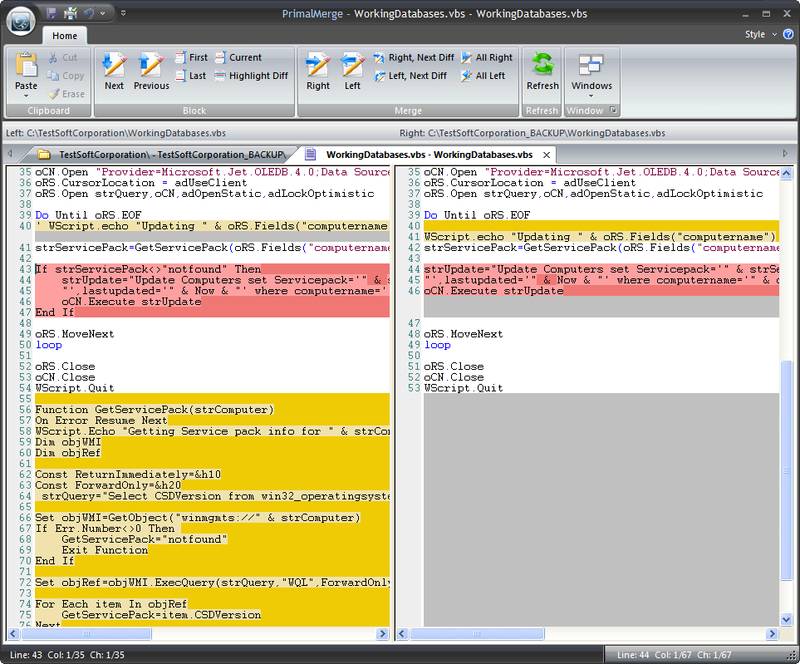 – Syntax highlighting for major file type makes navigation in source code easier and differences can be analyzed faster. – Integration with PrimalScript and other SAPIEN products provide you with an easy transition between tools. 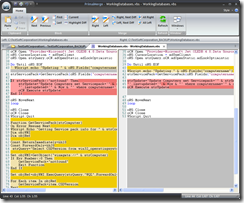 PrimalMerge 2009 is scheduled to be released by February 1st 2009.